Here’s another kitchen staple that, once you realize how simple they are to make, you’ll never buy again. These flour tortillas require very little hands-on time and the fresh taste will beat the pants off of the cardboard you’d find in a store. They’re soft, just a little chewy, and durable enough to wrap up anything you can throw at them. And as usual, besides the taste, you’ll get the added benefits of lower cost and better for you, since most conventional tortillas contain preservatives and are made with hydrogenated vegetable shortening (almost always soybean oil – hooray for trans-fats and GMOs!). Sure, you can buy healthy versions, but they’ll also cost more. Yes, you can use flour tortillas for your typical Latin-American cuisine (burritos, fajitas, enchiladas, tacos, quesadillas), but why not broaden your horizons? Use them as wraps. Turn them into dessert as a crepe substitute. Make them into thin-crust pizzas. Cut into triangles and bake them for a few minutes to get crackers. Really, you can use them for a wide array of meals, so make a double batch to have some extras on hand. 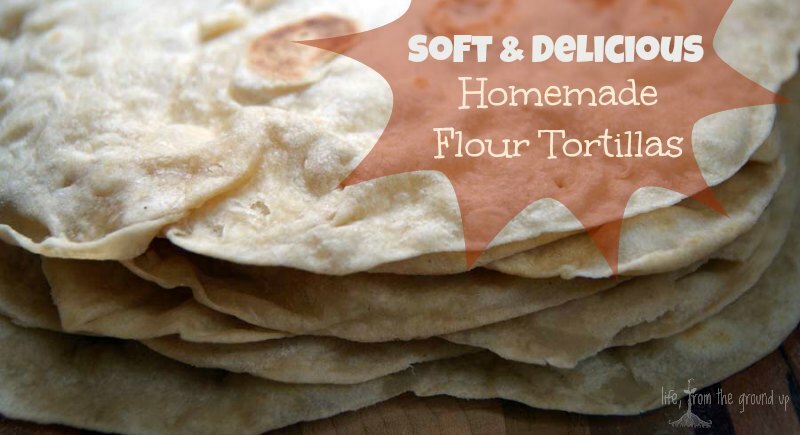 Flour tortillas require only flour, water, and some lard. You could use a liquid oil, but in my opinion, lard adds a little something extra that make these so delicious. Just remember to find a high quality lard if you’re able (local, if possible)! Start by mixing flour, salt, and baking powder together in a medium bowl. Using a pastry blender, cut the lard into the flour mixture until it gets crumbly. Alternately, pulse it in a food processor. Drizzle the water into the mix, stirring to combine until it forms a dough. Dump the dough onto a floured surface and knead for a few minutes, until it’s smooth. Add a little more flour if needed – it should be nice and smooth, and not too sticky. Form into a ball, place on a cutting board, then cover with a kitchen towel and let it rest for a half hour or so. 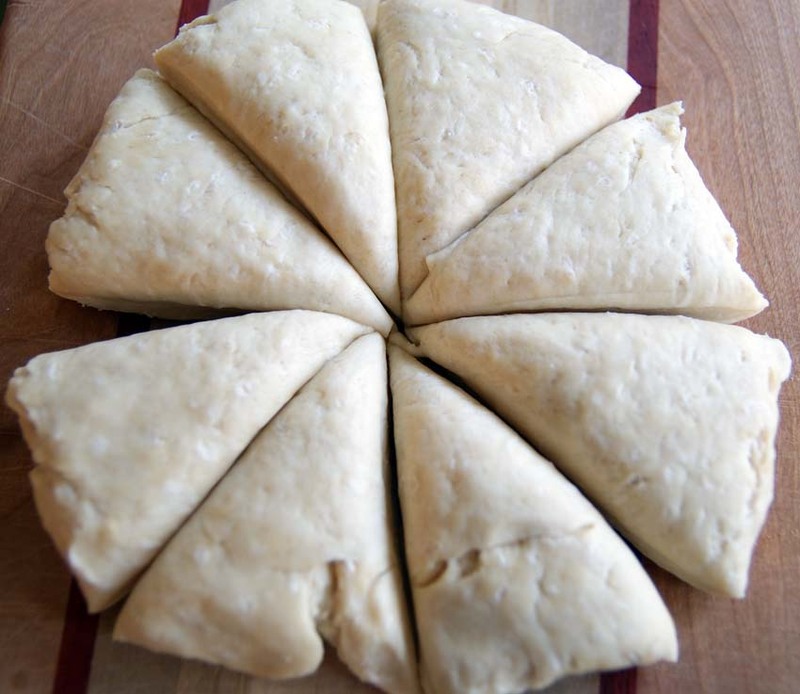 Divide the dough into eight even pieces and form each of those into a ball. Roll them out until they’re 6-7 inches in diameter – they should be rather thin. Cook them, one at a time, in a hot cast iron skillet. No more than 30-60 seconds per side, or until they bubble and start to just turn brown. If you let them go even 30 seconds too long, they could overcook – they’ll still be perfectly edible, but they’ll be really hard to roll up if they’re too crunchy! Use them immediately before they dry out too much, or freeze them for up to several months. Add the lard, and cut into the flour with a pastry blender until the mixture is crumbly. Add the water slowly, mixing until a dough forms. 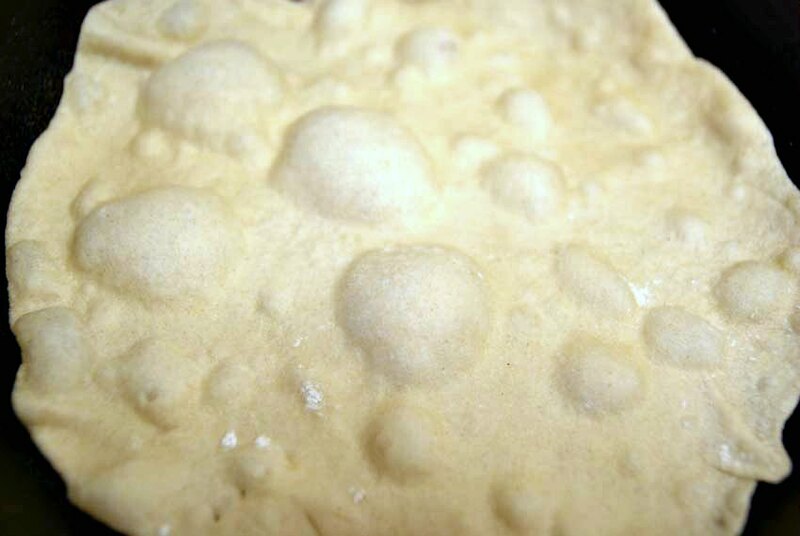 Knead the dough on a floured surface for a few minutes, until smooth and not sticky. 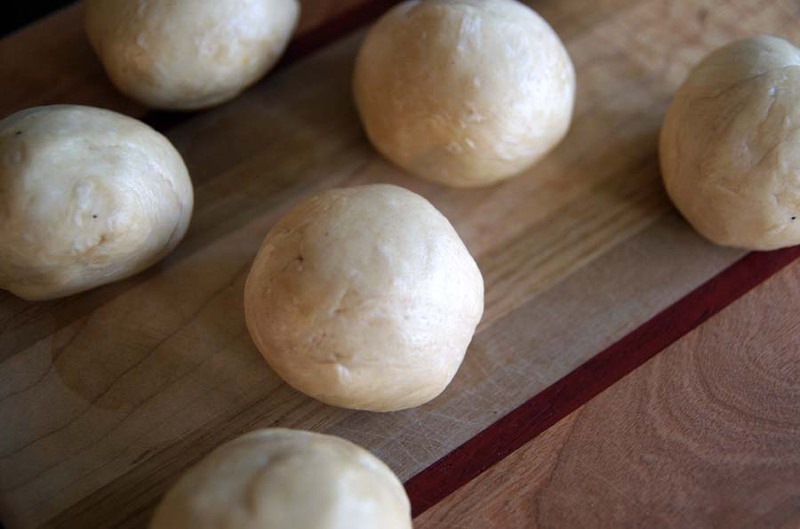 Form the dough into a ball and cover with a kitchen towel. Let it rest for 30 minutes. 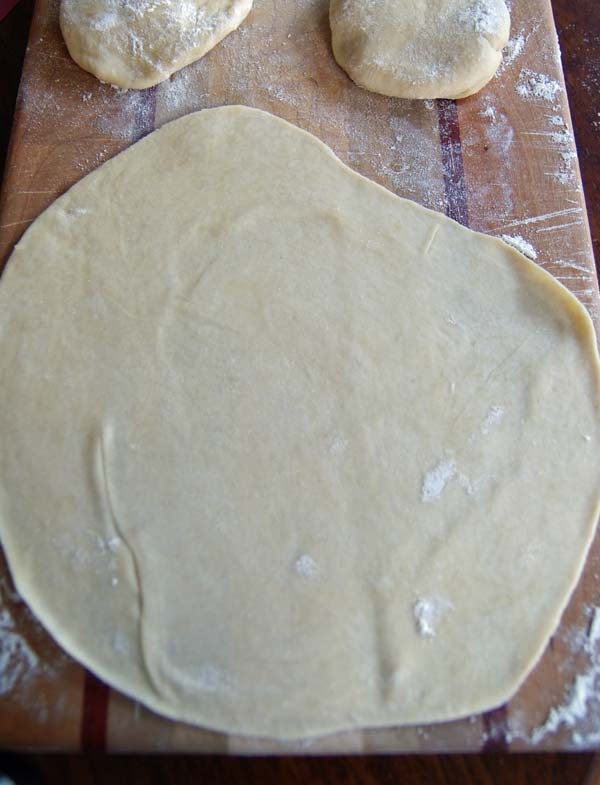 Divide the dough into eight even chunks, then form each of those into a ball. Roll out to 6-7 inch diameter - they should be pretty thin! In a preheated cast iron skillet, place the first tortilla. Cook for about 30-60 seconds per side, or until it starts to bubble and just starts to brown. Do NOT walk away - these can overcook quickly, which renders them too crunchy for rolling up. Cover with a kitchen towel if you're not using immediately. They can also be frozen for several months. 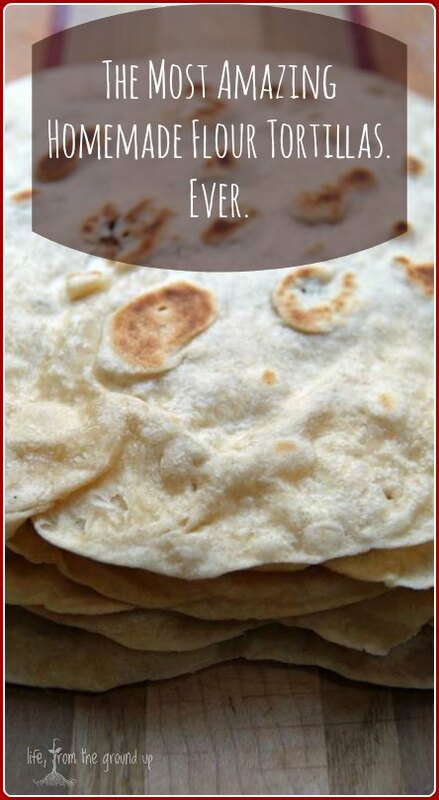 Have you tried making your own corn tortillas? I have a year or so ago, and found them much more difficult. Maybe it’s just because I’d never done it before, but I really fought with them for a while. Very sticky, kept tearing… not much fun. Don’t let that discourage you though – you should try everything at least once!